When the plans for the Eiffel Tower were first announced, many people hated the design of the future landmark, calling it ungainly and out of step with the beautiful stone buildings of the city. 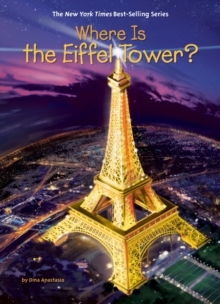 But once it went up for the World's Fair in 1889, the people of Paris quickly fell in love with the tower. Today it seems impossible to imagine Paris without the Eiffel Tower, which greets millions of visitors each year who climb up its wrought-iron stairs, ride its glass elevators, and enjoy the wonderful views of the city spread out below it.